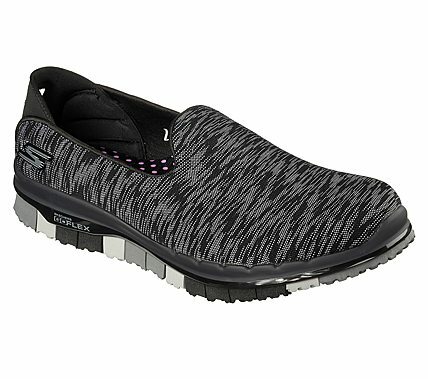 The Skechers GO FLEX Walk- Ability is the shoe that moves with you. Soft digital print fabric upper with articulated, segmented flexible sole design. Designed with Skechers Performance technology and materials specifically for athletic walking. Goga Mat® Technology insole with high-rebound cushioning.